Mid Stay offers quick and easy car parking within walking distance of the terminal. There’s no waiting around or handing in keys, when you arrive back from your trip you can make a quick getaway after the 2-3 minute walk to your car. The barriers will automatically recognise your number plate when you enter Mid Stay meaning you’ll be picking out your space in no time. It’s then only a 2-3 minute walk from your car to the terminal. Follow the Mid Stay car park signs from Whitehouse Lane. 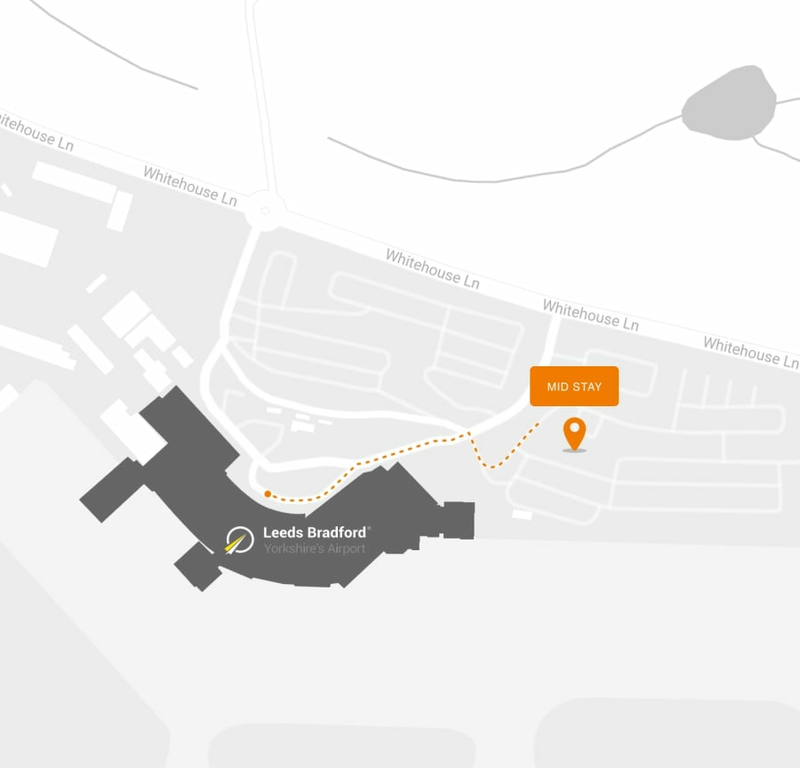 The entrance is nearby Travelodge, use either lane to enter at the barriers and go right at the mini roundabout. The Mid Stay car park is a 2-3 minute walk to the terminal. Passengers can also turn up and park at our Mid Stay car park on the day of travel. Spaces are subject to availability so we recommend booking online to guarantee your space. Excellent parking at a really reasonable price. We just pulled up at the Mid Stay and it was automatic number plate entry. We found a parking spot straight away and were inside the airport within two minutes. Would highly recommend and certainly use again.